Roads and Maritime Services is upgrading the Princes Highway between Mount Pleasant and Toolijooa Road. This work is funded by the NSW Government. The $349 million upgrade will provide 7.5 kilometres of upgraded highway and two new interchanges with access to Gerringong and Gerroa. Roads and Maritime has contracted Fulton Hogan to design and construct the Gerringong upgrade. Construction has started with completion expected in mid-2015, weather permitting. 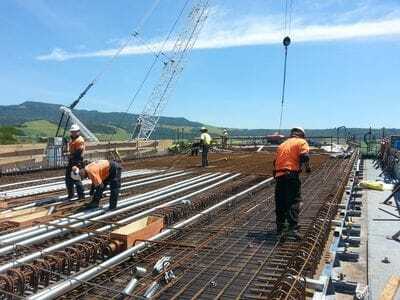 Kenny Construction has been contracted by Fulton Hogan to construct a number of bridges on Gerringong upgrade in particular the formwork, steel fixing and concreting elements. Kenny Constructions are prequalified to work with Roads and Maritime and their contractors on such projects. 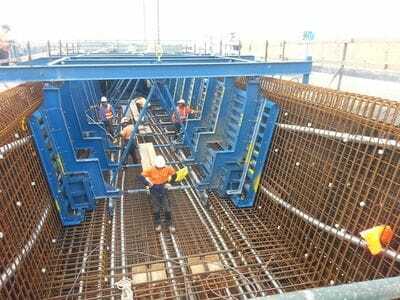 We work collaboratively to deliver on the requirements of Roads and Maritime and Fulton Hogan.Kenny Constructions are also ISO accredited and through our integrated management system, we are working well in meeting the requirement of the project management systems and in particular quality, environmental and OH&S. Kenny constructions experience in main roads projects and in particular our experience on previous Roads and Maritime projects add value to the project.